Currently based in Los Angeles, California, Andrea Lane is an inspirational singer/songwriter whose full schedule includes spiritual centers, retreats and correctional facilities across the United States and Canada. She tours with her husband and co-writer Billy Shank, and together they represent freedom and transformation through music. Billy is also a featured speaker and workshop presenter. Her latest release, ‘Freedom As The Mystic’ is a beautiful and peaceful EP whose meditative quality explores questions like “what if every moment was a miracle”? In it, she encourages one to take off their daily mask and reveal their true inner beauty. 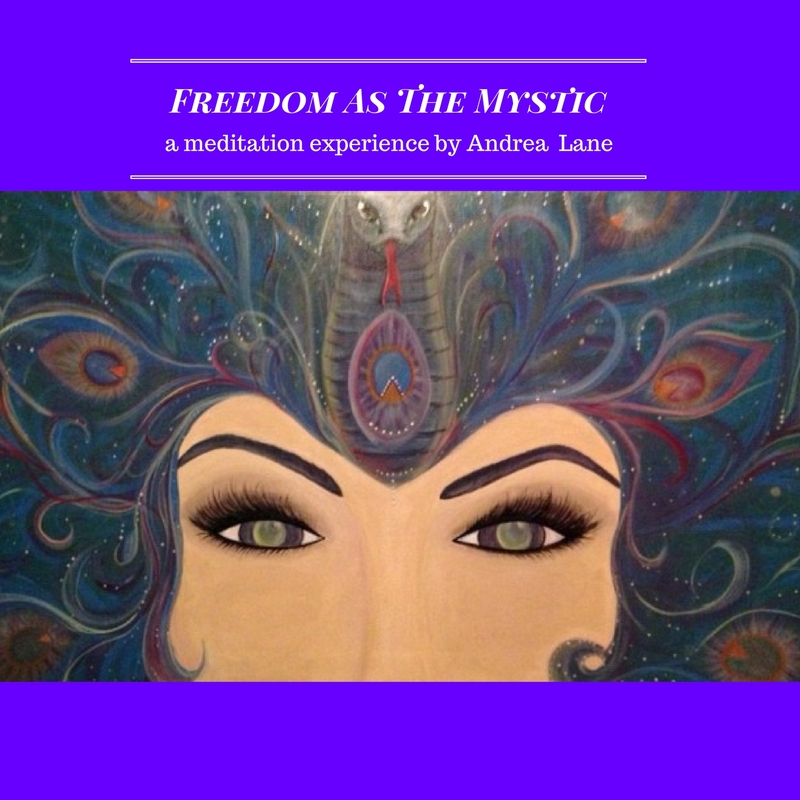 ‘Freedom As The Mystic’ is already proving to be one of Andrea’s best sellers. Previous releases include ‘On Fire For Love’, ‘Blessings’, ‘Churches and Prisons’ and Freedom Rox’. All of Andrea’s CD’s and songs are available on her website, andrealane.org, iTunes and CDBaby. Andrea was born in Louisville, Kentucky. Intuitive, artistic and fiercely independent, she displayed an early talent for expressing the world in her own unique way. After attending the Youth Performing Arts School as a dancer, Andrea appeared in several ‘Off Broadway’ plays and on ‘Saturday Night Live’ with Mike Myers. But after re-locating to Los Angeles music slowly became her life as she began to evolve into a singer/songwriter. Andrea fronted several bands including the popular L.A. band, ‘North Green’ that had several songs featured on the popular television show, ‘Gilmore Girls’. Fluent in French, Andrea accompanied record labels and music distributors as host/translator to the world renowned Midem Music Festival in Cannes. But it was at the Agape International Spiritual Center where Andrea truly found her calling in inspirational music. Through Agape, and with such iconic influences as Rickie Byars-Beckwith, Lady Gaga and Neil Young, Andrea was finally able to fully unleash her unique style of music. Andrea opened the ‘Rhythm and Joy Festival’ in 2015 and was interviewed on Rev. 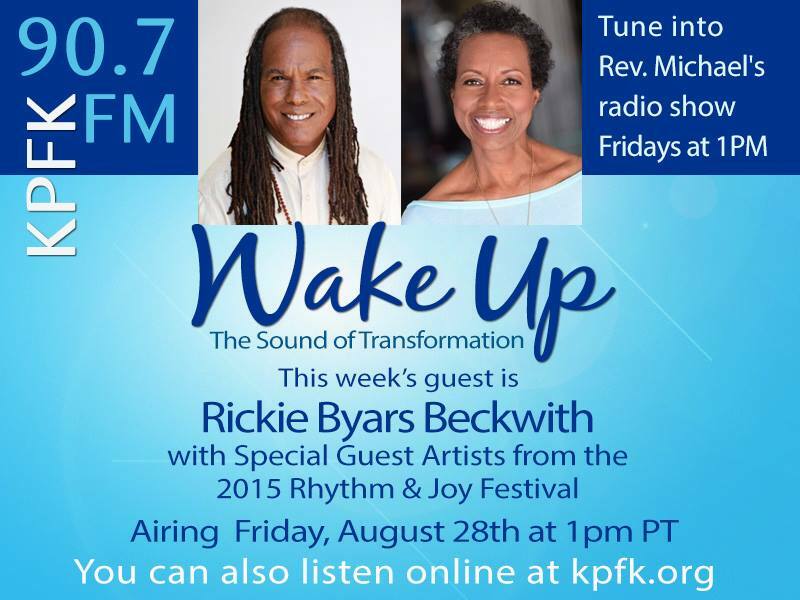 Michael Bernard Beckwith’s radio talk show, The Sound of Transformation, on KPFK Los Angeles. The rise of Andrea Lane is imminent and auspicious. She has been called the ‘Lady GaGa of New Thought music.’ Rev. Michael Bernard Beckwith of ‘The Secret’ calls Andrea “a Rockstar for God”. Andrea Lane is truly Inspiration on the Edge’. She can be found on iTunes, CDBaby and her website andrealane.org. Her full schedule is also available on her website. SMALLER SIZE BIOGRAPHY: International Inspirational Rock Artist, Andrea Lane, can be found sharing music in Centers for Spiritual Living, correctional facilities and coffee shops all over the world. She is known as ‘a Rockstar for God’ by Rev. Michael Bernard Beckwith. She likens her sound to “John Lennon meets Lady GaGa for tea on a spiritual retreat.” Andrea’s full schedule and more can be found at andrealane.org.